Kata Phones, the smartphone brand that has an octa core processor recently opened its branch in SM City Baguio. 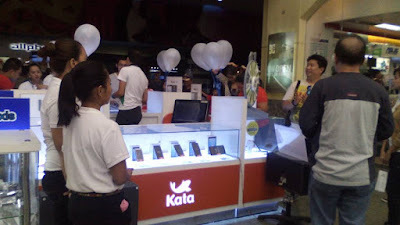 Located at the Cyberzone area, Kata has a wide array of smartphone choices that fits everyone's needs. During the opening, lucky mall-goers get to spin this wheel and win a prize. That easy! 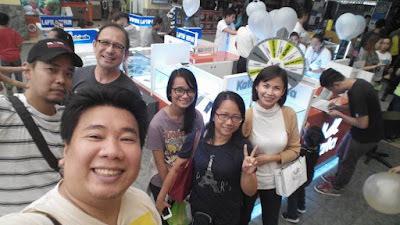 Some bloggers friends and I visited the latest Kata Store in SM City Baguio on opening day. 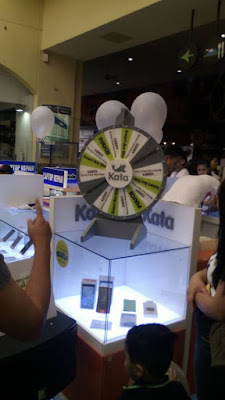 Congratulations Kata !! !